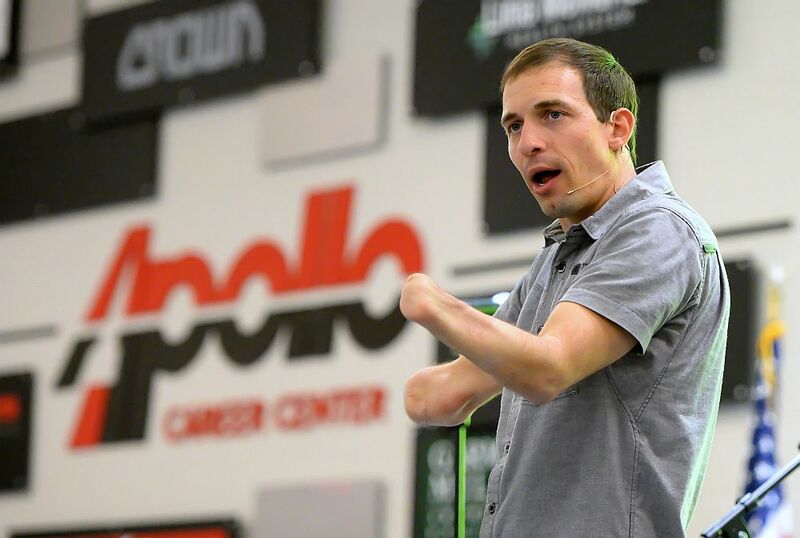 LIMA - Brad Hurtig shared his inspirational story of overcoming the loss of both of his hands, going from amputee to an All-Ohio athlete at Fairview High School in Northwest Ohio. Apollo Career Center hosted Hurtig on Tuesday afternoon. See more photos.